The short-term political battle will mean winning an election (or as much as can be won) on a pitch that is far from even. The judgment wasn’t as much of a surprise as the announcement from London that Mian Nawaz Sharif and Maryam Nawaz are returning. It seems as if more people were uncertain about their return than they were about the chances of conviction. This is because Nawaz Sharif’s past refuses to let go — his flight to Saudi Arabia after the military coup had convinced many that this time around too, the party head would flee. Adding to the confusion were the voices of those who want the Sharifs to stay away — so the PML(N)’s decimation advances a bit further or on behalf of the other heirs who would inherit the throne, if this branch of the family didn’t return. But after a bit of hemming and hawing, the return flights have been announced. Clearly, 2018 is different from 2000; jail under a military dictatorship is different from imprisonment under a civilian set up. However, bad the judiciary may seem to the Sharifs, it doesn’t compare to the justice meted out when a general is in charge. Perhaps age too has brought more political experience and, consequently, insight — exile may be comfortable but those left behind don’t bother to hang around. Had Nawaz Sharif and Maryam stayed away, the party would have fragmented (further). Regardless of how well (or poorly) the PML(N) would do on July 25, some of the winners would find a way to move on. Remember the Q League forward bloc in the Punjab Assembly from 2008-2013? Nawaz Sharif may have been a disinterested Prime Minister but he is not disinterested in his daughter’s inheritance. But the journey ahead is not a smooth one. In the courts, the legal battle will be fought, perhaps the easiest one of all. For in Pakistan, the legal usually follows the political. Whosoever wins in the political battlefield also manages to secure the legal one. Why else would Asif Ali Zardari be acquitted in all his corruption cases, which were instituted decades ago? The short-term political battle will mean winning an election (or as much as can be won) on a pitch that is far from even. Nonetheless, the return from London will help the PML(N) candidates struggling against heavy odds even if popular support for the party is said to be intact in central Punjab. The fear is that the party will not be allowed to form the government in case it does win a decent number of seats; perhaps this is why some Noonies try and argue that the party will not make a bid to form the government. Are they trying to keep the big bad wolves at bay? Remove themselves from the game so that there are no further attacks on the party? So that plans to create a patriotic group from the League winners are put away? If they are really serious about sitting in the Opposition, who will bore the government to death, in the absence of Nisar Ali Khan from the Opposition leader’s seat? But is the party also ready to lose Punjab? Or does it still believe that Lahore is still theirs to rule? Till sometime ago, the party and some observers were convinced that even if Islamabad was wrested away from them, Lahore’s throne would still seat a Noonie. Apart from the election woes, there is also NAB. Working at “Shahbaz speed” already (or is it “Punjab speed”), the bureau may not slow down after July 25. The train ride ahead promises to be bumpy but Nawaz Sharif and his daughter can’t afford to hop off. And in the long run, further challenges await. Back then, there was no threat from within. Now Sharif senior has chosen his daughter as the heir but at the expense of others. She has replaced Hamza as the political heir to be, but he may not be as willing to play second fiddle all his life as his father has. This is another reason the return is necessary now, just as the exit wasn’t so much of a threat back in 2000. So many variables are at work that one can never take for granted that the legacy might be passed on to a different line. This is different from what Benazir Bhutto faced; she was the only heir (from the family) around in the early years of Gen. Zia; by the time, Murtaza Bhutto returned, she had already established her control over the party. In the long run, Maryam doesn’t have to struggle the way BB did but she has her own set of challenges. For, the PML(N) may be Nawaz Sharif’s party but it’s been built on the delivery model shaped by both the brothers. Most Noon voters, even today, repose their trust in the “kaam” of the Sharifs rather than the “mindset” and statements of Nawaz Sharif and Maryam Nawaz. If anyone has any doubt about what attracts the voters, just watch the election ads of the party. Despite the slogan of vote ko izzat do, the message is primarily about a party that has delivered on its promises. 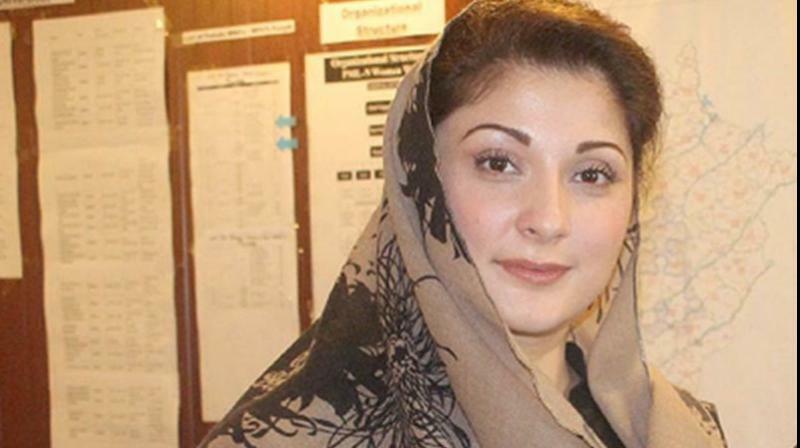 Even if Maryam takes over from her father, whose popularity she seems to lay claim to, she will also have to deliver, the way her father-uncle team have. Nawaz Sharif could act as the elderly statesmen at the national level partly because Shahbaz Sharif ruled Punjab with an iron fist through bureaucrats, squeezing out political rivals and keeping politicians in check. Only with Punjab under control, could the elder Sharif focus on national politics. Maryam will need to deliver on both these fronts, a tough challenge. For all of BB’s contributions to Pakistani politics, her legacy also includes the beginning of her party’s retreat from Punjab, a province that once was the PPP’s as much as Sindh was. The PML(N) wrested Punjab away from her by delivering to the voter. Perhaps the voter can be wooed a second time too.